It’s always fabulous to have new zombie fiction set in Australia, and it’s ten times as grand when the zombie fiction in question has as much personality, drama and heart as Alison Evans’ new YA book, Highway Bodies. The story is divided into three-chapter sections: the first from the point of view of a teen near the epicentre of the zombie outbreak; the second from a group of young musicians taking a week away in the country to work on songs; the third a pair of non-identical twins whose mother is a nurse at a hospital where the outbreak is getting out of hand. These young people are diverse and queer. As their stories are told and eventually converge, we learn that the world has always been hostile for them – the twins, for example, bear scars inflicted by a violent father. In trying to survive, each group is aware that other survivors are just as – or even more – dangerous to them than the mindless zombies. Evans has a deft hand in giving each of the three main narrators their own distinctive voice. A lot of what happens is gruesome as each is confronted with the zombie infestation, mitigated by the humanity of the characters’ responses and fears for the lives of their loved ones. The story leads to a conclusion that isn’t a safe geographical point so much as a fierce dedication to supporting each other in a world where everything is hostile. It’s a bit like actual life in that way. For all the gore and violence, Highway Bodies manages to be simultaneously uplifting in the love and protectiveness its protagonists feel for each other. Love for family (both born and made) and friendships are the motivating forces for each of them, and there’s tenderness, loyalty and love at the heart of the end of the world. As zombie fiction it’s fast-paced and full of the types of zombie encounters we love to read about. As an allegory for growing up queer in an environment that’s hostile to your very existence, it has power beyond the surface story. 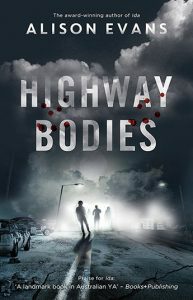 Highway Bodies is thematically reminiscent of Mary Borsellino’s fantastic work in Ruby Coral Cornelian, The Devil’s Mixtape, Thrive and others – diverse kids in a hostile world, whose best weapon and best hope is love. Evans’ second book is a corker, and I can’t wait to read whatever they write next. 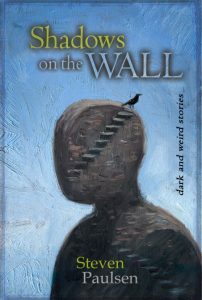 My latest book is a short story collection called Shadows on the Wall. I played around with a bunch of titles but none of them seemed fit right. Then one day I remembered a discarded novelette I wrote many years ago that was called “Shadows on the Wall”, and I realised it was a great title for my collection. There are numerous shadows lurking in these stories. 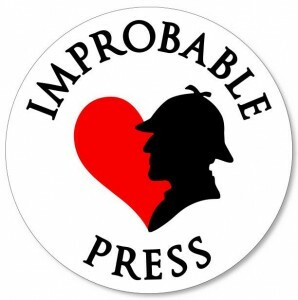 Some are overt, such as in “The Black Diamond of the Elephant God” where the protagonist is pursued by a shadow, and in “In the Light of the Lamp” where an ancient brass oil burner casts shadows on the wall. But for me the title also spoke to the theme of the book as a whole. When Isobelle Carmody read the collection, she wrote that the stories are “shadows, shifting on the wall, barely seen, slipping into our minds to lie, light and cold over our hearts…” So I think the title works well. That’s a tough question because my book is a collection of short stories. But if I were to pick one story, there is a new novelette in the book called “The Black Diamond of the Elephant God”. The man character of this story is a 19th Century English Orientalist and Sanskrit scholar named Giles Freeman. To play him, I would choose Laurence Olivier in his mid-late thirties. He would have no doubt done the character proud. Dark, weird, heart-wrenching, spooky and humorous. My favourite fictional duo are Fritz Leiber’s sword-and-sorcery rogues, Fafhrd and the Gray Mouser. Unlike so many wooden sword and sorcery characters, they feel alive, albeit larger than life. Fafhrd is a tall sword-wielding northern barbarian, prone to the occasional song, while the Mouser is a short thief and swordsman, with a little skill in magic. Together, they carouse, brawl and gamble their way through some rollicking, chaotic adventures. Hmmm… The stories in this collection vary a lot on tone and style, plus they were written over a few decades so it’s difficult to pick just one song that represents the book. I probably listened to David Bowie a lot when I wrote some of these stories, so it’s reasonable to say his music was an influence. I’ve been listening to his 2013 compilation album, Nothing Has Changed, which was the first album to showcase his entire career. As for a song that reflects the theme, let’s go with John Lennon’s ‘Watching the Wheels’ from his Double Fantasy album. It’s a tenuous link, but people do say I’m crazy doing what I’m doing, and I like that he said he was doing fine watching Shadows on the Wall. Shadows on the Wall is a short story collection that contains the very best of Paulsen’s dark and weird tales…plus stunning new fiction written expressly for this volume. Steven Paulsen’s bestselling dark fantasy children’s book, The Stray Cat, illustrated by Hugo and Oscar Award winning artist Shaun Tan, has seen publication in several English and foreign language editions. 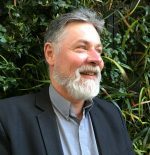 His short stories, which Isobelle Carmody describes as beautifully written and subtle, have appeared in magazines and in anthologies around the world. His short story collection, Shadows on the Wall (IFWG Publishing Australia, 2018) contains the best of Paulsen’s dark and weird tales plus new fiction written expressly for the book.